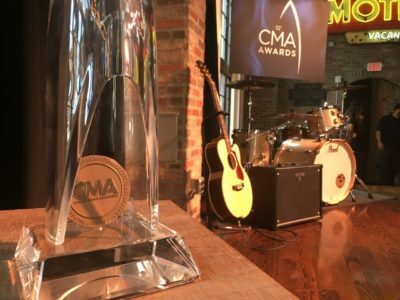 Were you excited about the 2018 CMA nominations? We were! Was there anyone missing from the list that you thought should’ve made the cut? (Ahem, Kane Brown). 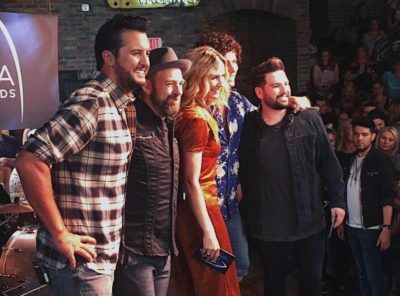 We won’t be too salty about it…because this year the CMA nominations were hosted by the one and only Luke Bryan, as well as the dynamic duo Dan + Shay, at Luke’s 32 Bridge Food + Drink in Nashville, TN. 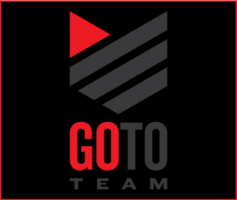 ABC reached out to Go To Team’s Tennessee crewman, Peter Leininger, to capture it all! We had 2 live segments to shoot and all footage was captured with a Sony F5. The first segment had two hosts on stage, as well as Sugarland and Dan + Shay in front of the crowd. Peter started with the wide angle lens which captured the stage and crowd at 22mm. When the Best Duo nominations were read, he zoomed in on Sugarland and Dan + Shay for a reaction shot. For the 2nd segment, Peter switched to the telephoto lens. Sugarland and Dan + Shay were on stage for this segment while Luke Bryan was in the crowd. The telephoto lens allowed Peter to get single shots of people as they read the nominations, as well as a reaction shot from Luke Bryan when his name was read. Television screens and Neon lights line the bar, so two 4×4 lite mats, two 1×2 lite mats, and two 1×1 litepanels were used to light the crowd, as well as the performers before they came on stage. 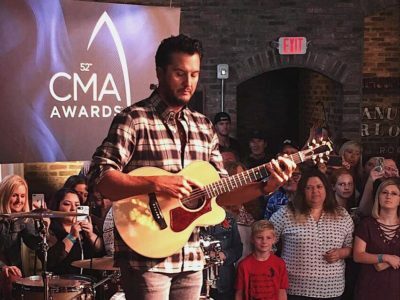 The 52nd Annual CMA Awards will broadcast live from Nashville’s Bridgestone Arena on Nov. 14, with Brad Paisley and Carrie Underwood hosting the ceremony for the 11th year in a row. The show will take place at 8 p.m. EST on ABC.